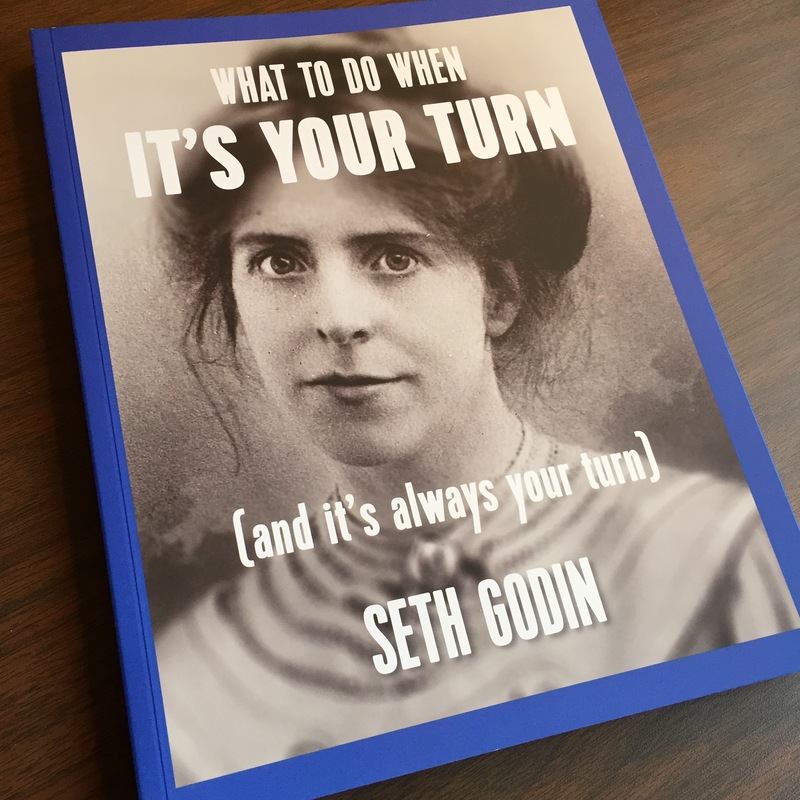 Yesterday I received Seth Godin’s new book, What To Do When It’s Your Turn. I haven’t read it yet, but it’s a delight to hold and thumb through. 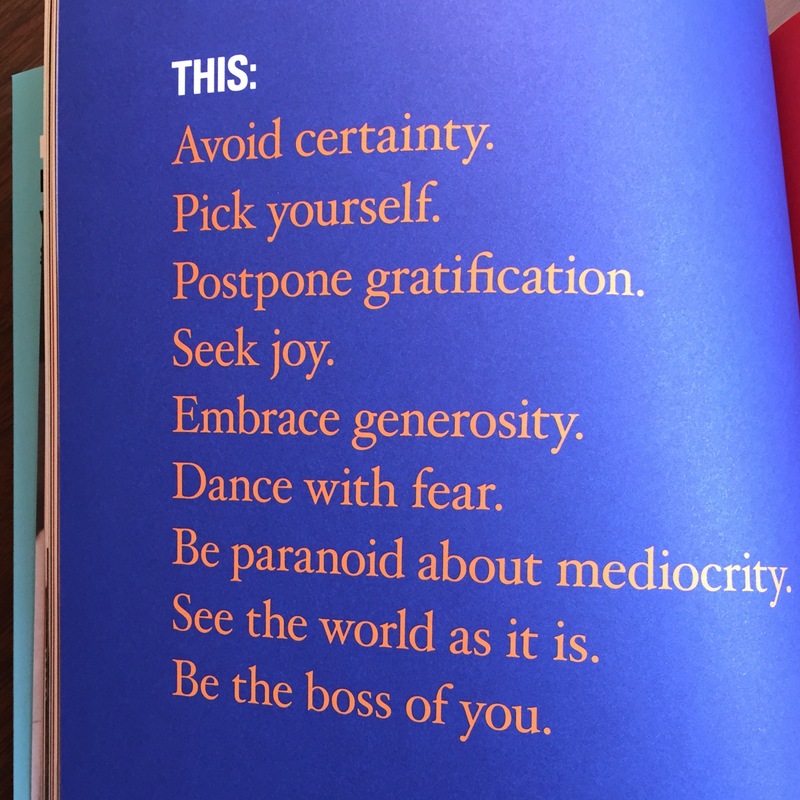 The design is rich, colorful, and compelling, with big photos and pulled quotes and blog-like bursts of wisdom throughout. It is giving me new hope for the printed word, for books with real pages to turn. If you’re book is going to just be words, I can appreciate it just as well on an iPad or a Kindle. But if it aims to connect beyond just words, if there is a feel to it you hope to convey, an aesthetic quality that moves the reader visually and kinesthetically, then digital bits won’t be enough. Godin’s new book has a pleasing heft, literal and metaphorical weight that you wouldn’t feel if you were reading it on a device. This is the kind of book that’s a bit like a souvenir for ideas. You’ll want to show it off and pass it around, and that’s his aim. Spread great ideas. Ideas with depth deserve a vehicle, a medium, to match. As we consider the spread of ideas in the internet age, don’t pour one out for physical books just yet. 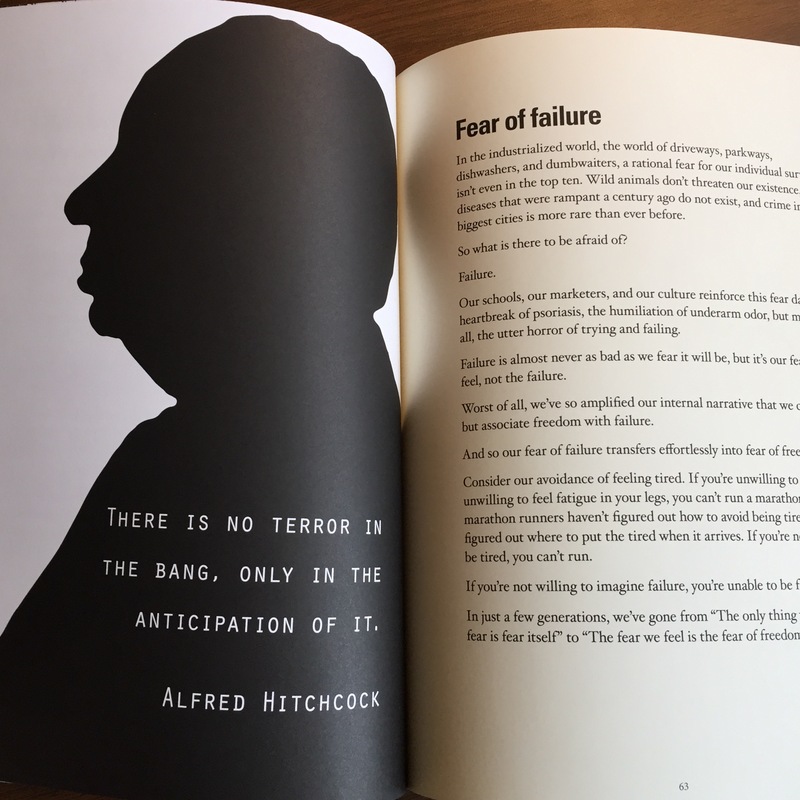 When you make the whole book a work of art ––not just the art in writing the words, but in crafting the physical container of those words (and images)–– possibilities emerge that take the connection between a creator and an audience to a new level.